Pole Dance is an opportunity to express your emotions freely through movement and dance woven into interesting choreography. That night, the audience of Scene54 will be able to see a Burlesque-style show accompanied by songs from the 1920s and 1930s! 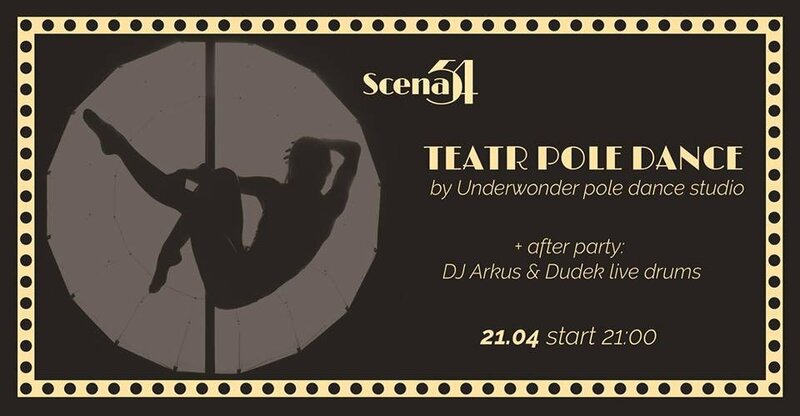 After the show, there will be an afterparty with DJ Arkus, who will play together with Dudek and his drumming live-act!